Through successive decades, generations of musicians have upheld the tradition of excellence that remains a hallmark of the Orchestre symphonique de Montréal. The Orchestra has played host to the greatest conductors in the world and performed alongside the most illustrious soloists. But beyond its symphonic legacy, the OSM has also remained rooted in its community. The OSM reaches out beyond the walls of the concert hall, making classical music ever more accessible to an ever growing public. Its strong belief in each new generation has fostered countless initiatives in support of young musicians and composers. The milestones described in this timeline are testament to the remarkable journey of an orchestra sustained from the very beginning by the support and loyalty of its devoted audience. 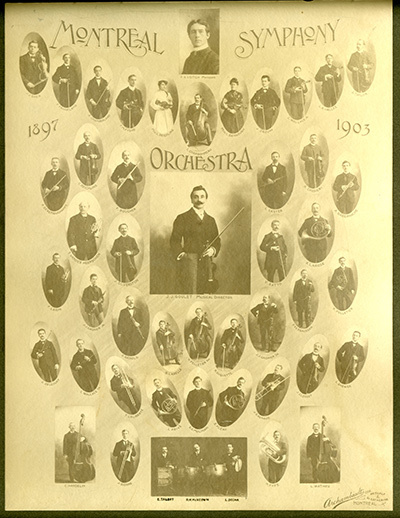 In 1894, a short-lived amateur musicians’ cooperative adopts the name Orchestre symphonique de Montréal. Two other ensembles bearing the same name succeed one another until the second falls victim to the economic crash of 1929. Misfortune rarely comes alone: when silent movies are superseded by sound film technology the following year, musicians earning their living playing in movie houses are suddenly out of work. A number of them turn to the new Montreal Orchestra conducted by Douglas Clarke, which disbands in 1941 after performing 163 regular season concerts. At this point, many of the Montreal Orchestra’s former members decide to pursue their careers by joining the ranks of yet another, more recently established orchestra: the Concerts symphoniques de Montréal, destined to develop into the one and only OSM. 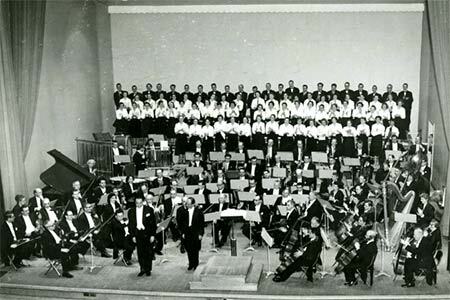 On November 16, 1934, Athanase David, Secretary of the Province of Quebec, announces the creation of the Concerts symphoniques de Montréal (CSM), a professional orchestra serving the province’s French Canadian public and artists. The appointment of its first Music Director, Wilfrid Pelletier, is nothing short of providential. A renowned, visionary conductor, Pelletier is keenly aware that the Orchestra’s sustainability depends on the next generation of musicians. He insists on establishing Youth Matinee concerts as a condition of his engagement. In his effort to reach out to a larger public, in 1936 he founds the Festival de Montréal and in 1938 inaugurates the first free concerts at the Mont-Royal Chalet. These concerts grow to become a beloved tradition until they cease in 1964, but the vibrant culture of outdoor concerts in Montreal continues to this day. 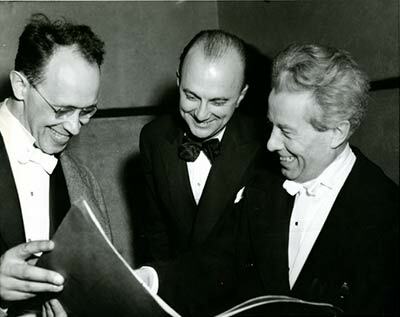 True to his pedagogical convictions, Wilfrid Pelletier accepts the position of first Director of the Conservatoire de musique de Montréal in 1942, one year after passing his baton to the CSM’s next Music Director. Désiré Defauw, a Belgian conductor and accomplished violinist in exile from war-torn Europe, takes the helm of the Orchestra at the invitation of CSM administrator Pierre Béique. Béique is the Orchestra’s foremost architect in the decades to follow: a tireless ambassador, he manages to persuade internationally renowned soloists touring the USA to stop over in Montreal to perform with the CSM. He also convinces several prestigious conductors to take to the podium during the regular season, confirming the high standards attained by the still-young ensemble, and the promising future that awaits it. 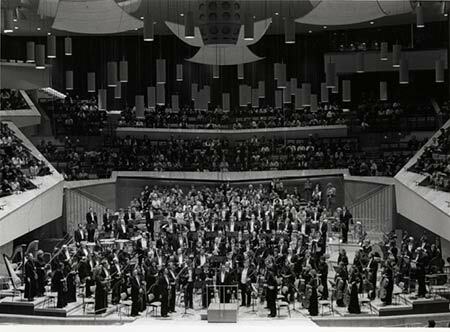 In 1953, the CSM is renamed Orchestre symphonique de Montréal/Montreal Symphony Orchestra. Igor Markevitch is appointed Music Director in 1957, and makes his mark on the Orchestra’s history through his passionate defence of contemporary music, including a daring performance of Stravinsky’s Rite of Spring. During Markevitch’s tenure, a competition for composers is created, initiating the Orchestra’s tradition of commissioning Canadian works on an annual basis. He raises the OSM to full professional status: musicians engaged on a concert-by-concert basis now sign annual contracts, while the number of programmes grows from 12 to 20 per season. Starting in 1959, a new series at the Montreal Forum presents four concerts for a dollar apiece, each attracting an audience of 10,000! A last-minute stand-in for Igor Markevitch at one of the Forum concerts in 1960, a young Zubin Mehta, aged 24, takes the Montreal public by storm. He is appointed Music Director the following year. 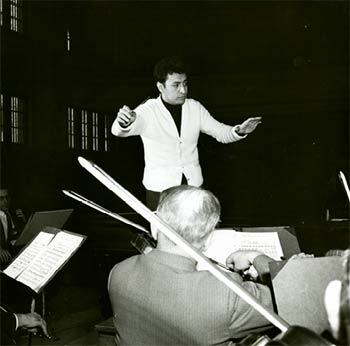 Led by Mehta, in 1962 the OSM becomes the first Canadian orchestra to tour Europe. Mehta also inaugurates the Orchestra’s new home: leaving its original venue at the Plateau Hall, the OSM takes up residence at Place des Arts on September 21, 1963. Specially designed to showcase the Orchestra, the great hall is subsequently named Salle Wilfrid-Pelletier. The relocation also provides impetus for the OSM’s engagement with opera, a triumph from the very start: its first production – Puccini’s Tosca – is roundly acclaimed. Finally, the Prix Archambault (1940 – 1962), whose mission is to support young Canadian talent, evolves to become the OSM Competition in 1965. The OSM in Berlin in 1984, during one of his many international tours. 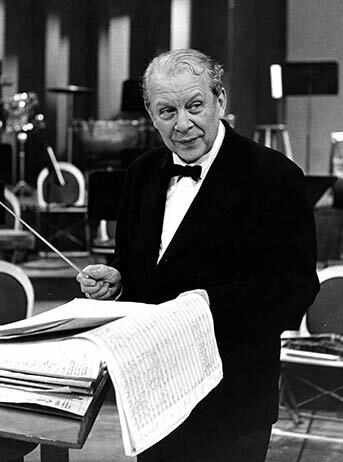 Under Franz-Paul Decker, appointed OSM Music Director in 1967, the Orchestra travels to Japan for the first time in 1970 to take part in the Osaka World Exposition. Despite its growing popularity on the international scene, the OSM must step up efforts to reach its francophone Montreal audience. A new Pop Concert series provides the opportunity to feature great stars of Quebec popular song as soloists with the Orchestra. The 1973-1974 season is marred by a serious financial crisis, but the OSM weathers the storm thanks to community support. By the time Franz-Paul Decker steps down as conductor the following year, the OSM is a mature ensemble among the best orchestras in North America. Rafael Frühbeck de Burgos succeeds Decker for a single season, and enjoys the privilege of leading the now reputed orchestra in its first appearance at Carnegie Hall. A new chapter in the OSM’s history begins with the signing of a major recording contract with the Decca label. Charles Dutoit, renowned specialist of French and Russian repertoires, leads the Orchestra in its first digital recording – a rarity in 1980 – in the Église de Saint-Eustache. 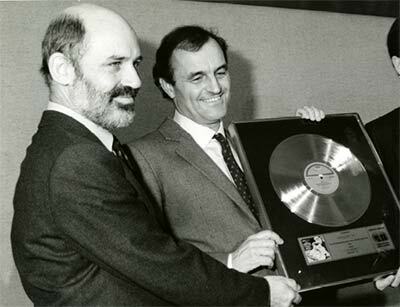 The recording of Ravel’s Daphnis et Chloé, first released on vinyl (1981), then on CD (1984), garners international prizes. Next, the famous Boléro by Ravel reaches platinum sales in Canada, while Berlioz’s Les Troyens earns a Grammy. Producing recordings at a pace matched by few orchestras in the world, the OSM embarks on a flurry of international tours. This ascent to prominence does not diminish the OSM’s loyalty to its home public, and each summer, a series of Concerts in the Park features the ever-popular Boléro as an encore. 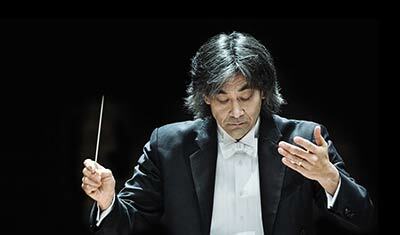 Following an interim period brilliantly led by Jacques Lacombe, Kent Nagano is appointed to the helm of the OSM. After six years without touring, the Orchestra embarks once again on international tours. The year 2011 marks a major milestone: the OSM inaugurates its new home, the Maison symphonique, whose acoustics are finally able to support the quality of the Orchestra’s sound. Three years later, the Grand Orgue Pierre-Béique is unveiled to the public. Along with its first multiplatform webcasts, the Orchestra continues to record albums, winning the coveted Diapason d’or for its recording of L’Aiglon. Among the many other achievements for which Kent Nagano and the OSM can be proud are two tours to Nunavik in 2008 and 2018, the launch of La musique aux enfants, the creation of the Classical Spree summer festival, and in 2018, the OSM’s first appearance at the famous Salzburg Festival!